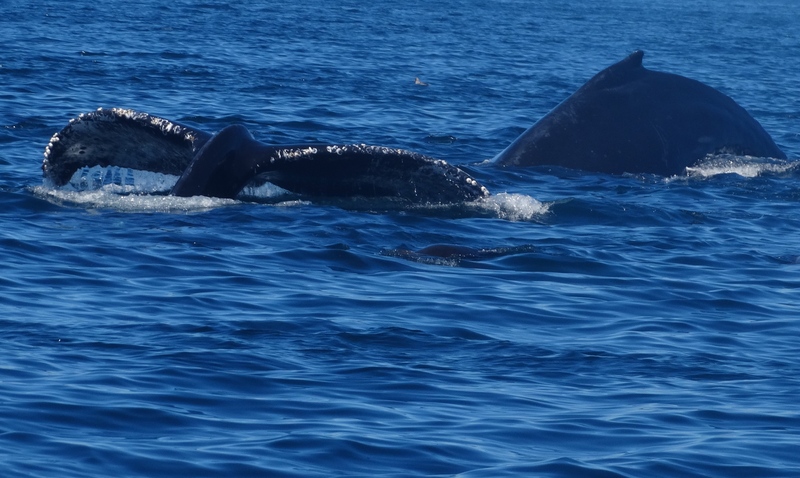 Outstanding close encounter with a mother and calf Humpback whale today! 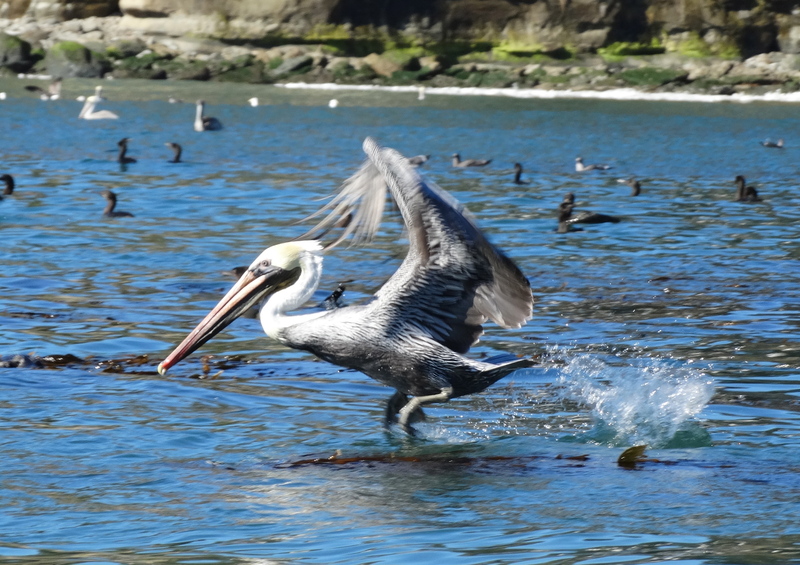 It is a truly remarkable honor to live on the edge of Monterey Bay National Marine Sanctuary. Coined the “Serengeti of the Sea”, Monterey Bay National Marine Sanctuary lies within a biologically rich pathway intersecting the migration patterns of an array of marine mammals, sea birds and even our planet’s largest sea turtle, the leatherback. 34 species of marine mammals are found within out extraordinary sanctuary, the largest federally protected marine reserve in the United States. 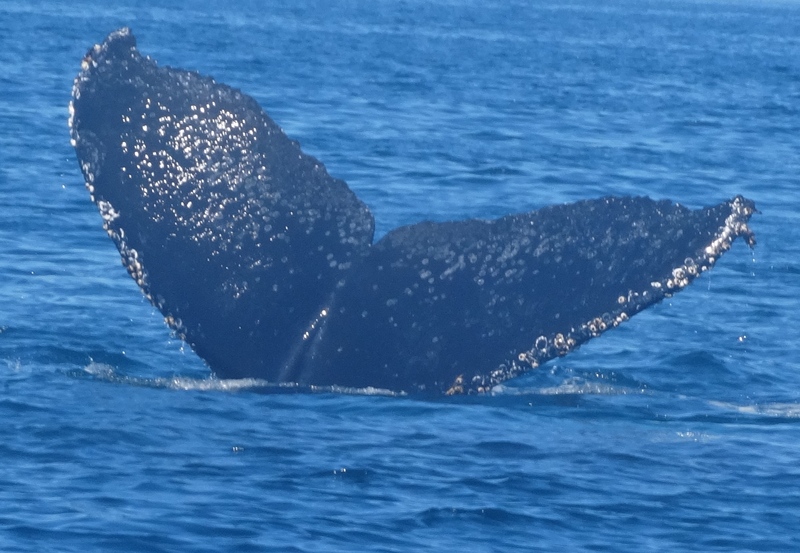 Several days ago on a naturalist-led adventure with Blue Water Ventures we kayaked among a dozen Humpback Whales. 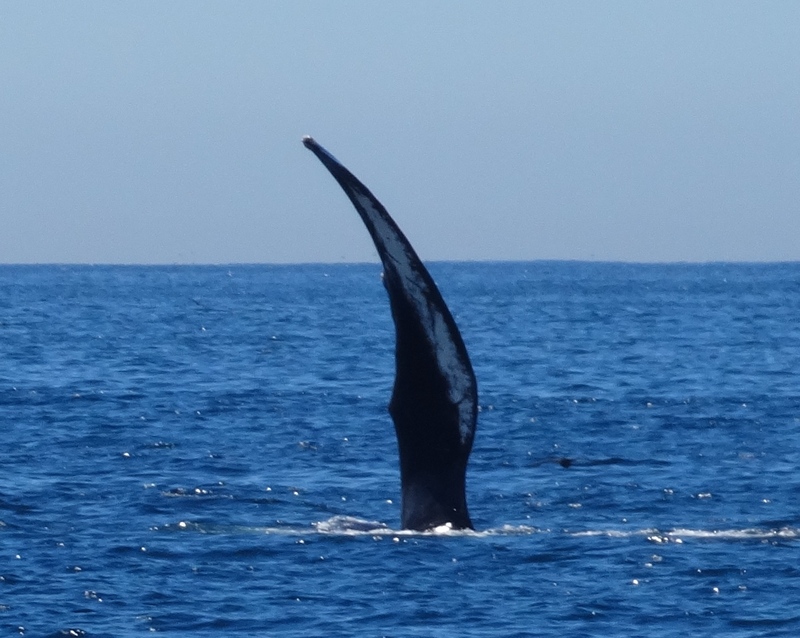 Reaching a length of 45 feet and weighing 80,000 pounds we were truly humbled by their gentle presence. 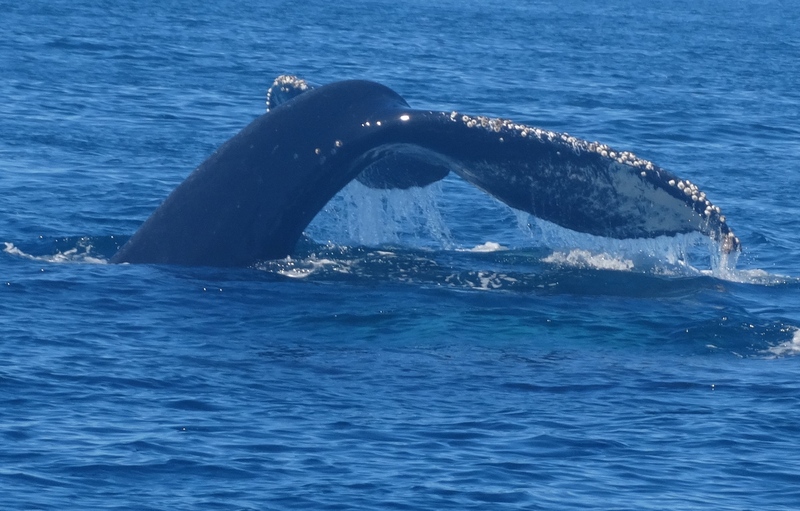 Today was another outstanding day aboard Sanctuary Cruises as we experienced an array of whale behavior from pectoral slapping, tail slaps, lunge feeding and a spectacular double breach. Using a hydrophone we could hear the underwater vocalization of the humpbacks and above water the erie sound of trumpeting whales. Humpback whales are known to trumpet, a shrieking balloon like sound emitted through their blowhole when under stress such as an predatory attack or when excited by food. 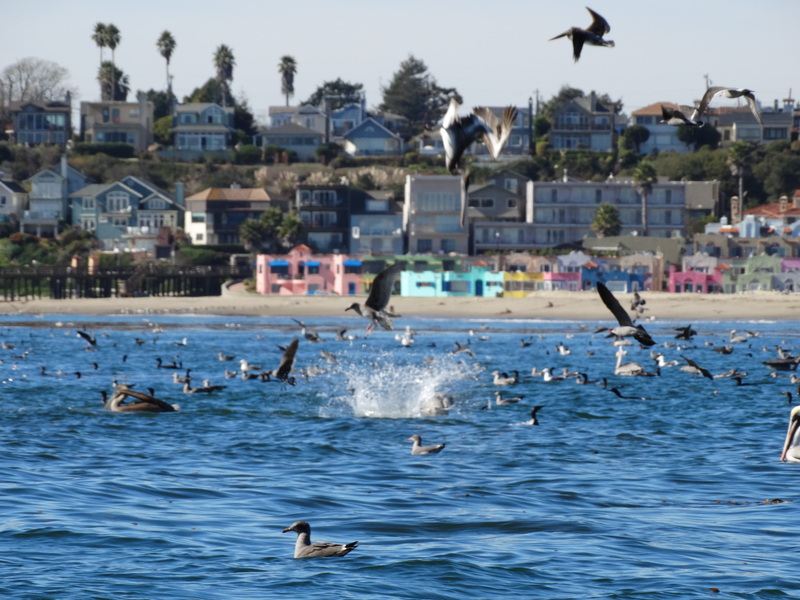 The abundance of anchovies In Monterey Bay right now seemed to be a reason to celebrate! Join us on our next naturalist-led adventure with Blue Water Ventures. 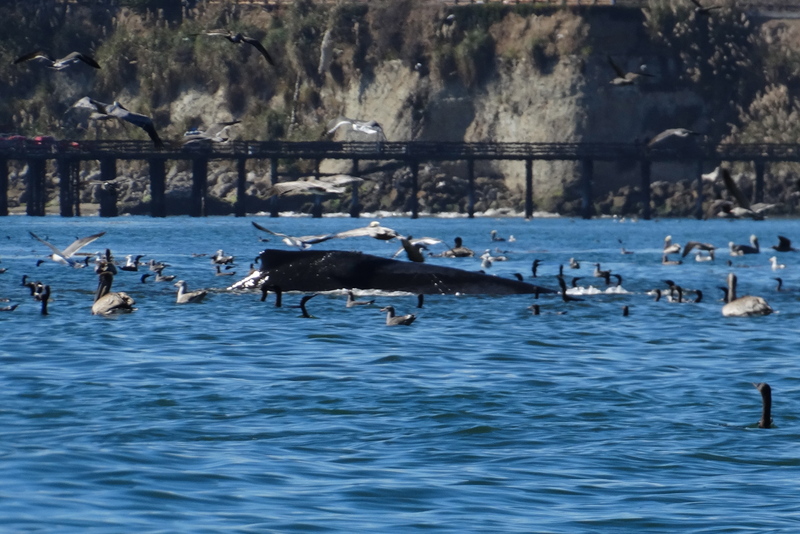 Once again, “pinheads” what the local fisherman call immature anchovies, have moved close into the Bay attracting an array of predators from brown pelicans to humpback whales. We thought that perhaps the whales were on their way to the coast of Mainland Mexico where they will give birth and care for their calves before making the journey back to our coast to feed. With these tasty anchovies still around, so are the whales. Enjoy the frenzy while it lasts! http://www.bluewaterventures.org. 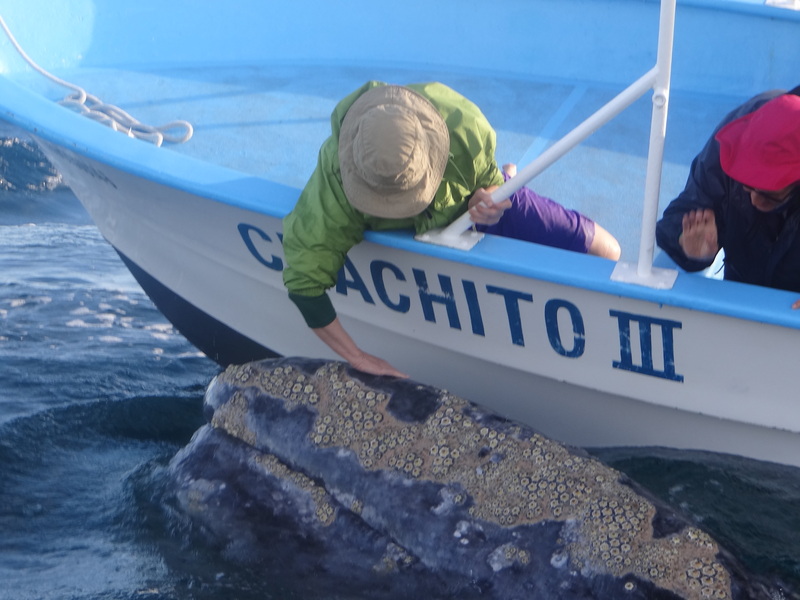 Every february Blue Water Ventures travels to the whale breeding lagoons of Baja teaming up with our incredible local outfitter, Mar Y Aventuras. For 10 action packed days, we snorkel with sea lions, observe reef fish, sea kayak, beachcomb and hope for a ‘friendly” encounter with the California gray whales of Magdalena Bay. 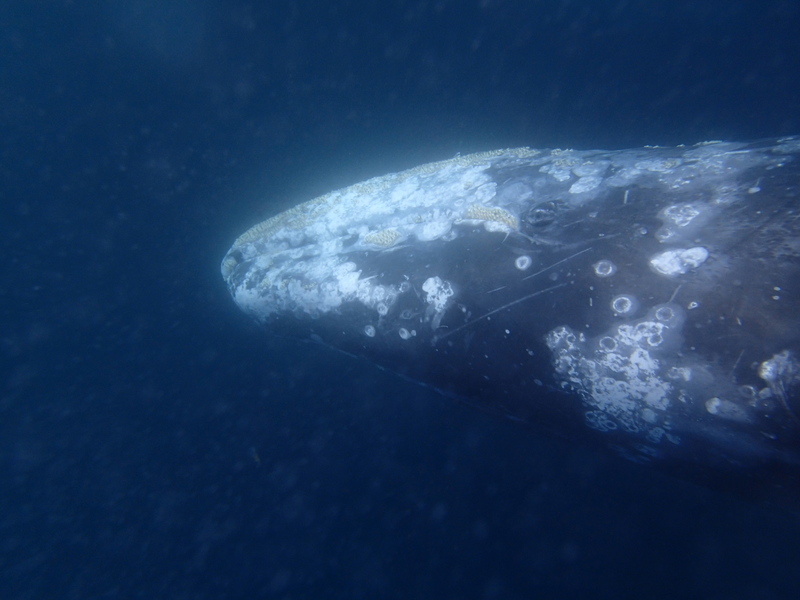 Gray whales are known to be friendly at times, intentionally seeking interactions with humans. It is entirely the choice of the whales that reach 50 feet in length and 80,000 pounds, far greater than our tiny ponga boats. This underwater footage of two California Gray whales was captured by Kim Powell, owner, operator and head naturalist of Blue Water Ventures based in Santa Cruz, CA. I hope you might consider joining us as we explore Baja, from desert to sea!